Asia Tropic Zone Co.,Ltd. is the wholesale of pond fish and water plants supplies in Thailand. Our supplier team is one of the largest Koi network in Thailand and carry a large supply of Koi for wholsale customers. And today, we're the leader of Koi exporter from Thailand by quantity, quality and best price. 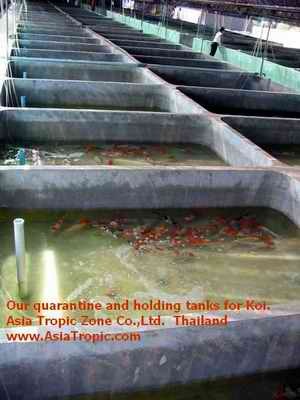 Our export Koi routinely test and monitored for KHV disease by using PCR method for ensure virus free. We also strictly in quarantine processing and disease control by veterinarian and hi-tech lab hardware. By the cooperation and supported by Department of Fisheries, Thailand. 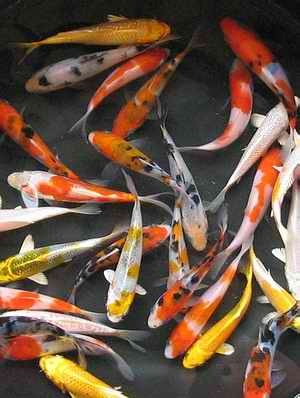 We're year round exporter of high quality Koi and other ornamental fish. As most of our international customers are wholesale Koi dealers and/or enthusiasts we usualy do business with them on a very sophisticated level where every customer is treated special. Please don't hesitate to contact us for more information. Click here to visit Koi Gallery.